PowerHA is IBM’s high availability solution for IBM i. We will meet the IBM i PowerHA family, and learn how it can simplify a high availability environment. There will be discussions on the types of environments it’s a great match for as well as those that are better suited for other high availability solutions. We will see how POWER9 is a great time to look at implementing and tuning high availability solutions. Finally we will end our journey with a live interactive demonstration of the solution in action. If you’re using external storage in your IBM i environment without taking advantage of FlashCopy, we have one question for you: Why not? Get an overview of how FlashCopy works, the types of FlashCopy options available, how FlashCopy can be used in environments with or without independent ASPs (IASPs). Will include live demonstration of the technology. 2. Learn what an IASP is. Prior to joining HelpSystems Brian spent six years with IBM in Rochester, Minnesota. Roles at IBM included being the development architect for PowerHA and working on IBM i virtual I/O and communication I/O device drivers. 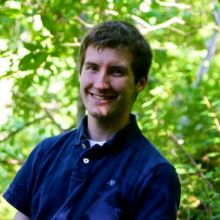 He earned his master's degree in software engineering from the University of Minnesota in 2017.